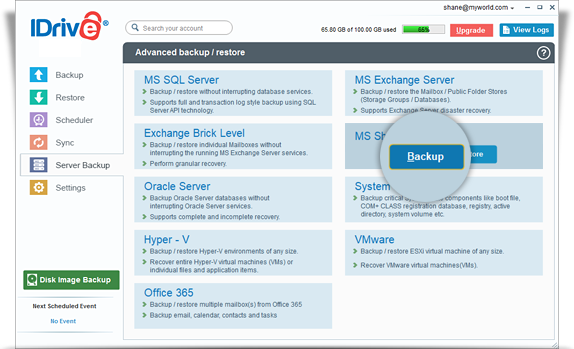 Backup your complete SharePoint Server or portions of site / document libraries / lists including details of all log activities. 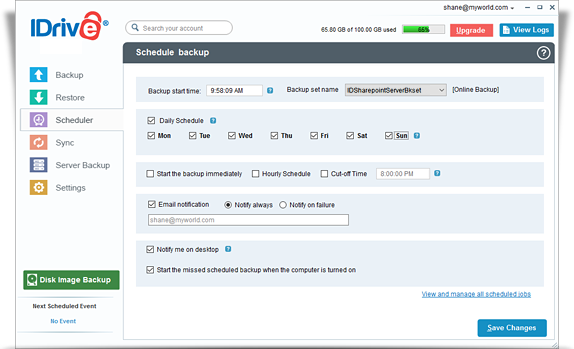 Select the web sites, applications from the list displayed; specify the temporary local backup path and click the 'Schedule Now' button. 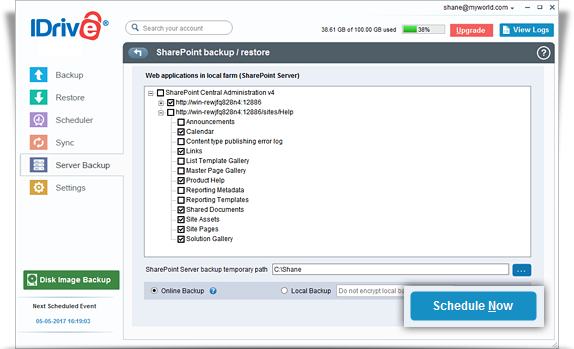 View steps to restore the MS SharePoint Server.